After Friday’s departure of Ram brand President and Chrysler Mexico boss Fred Diaz, the Chrysler Group has shuffled up the management in order to continue the company’s impressive growth from the past three years – with all of the positions being filled from within. The sudden departure of Ram Brand President and CEO Fred Diaz this past Friday surprised the automotive world. The lack of a quick formal statement leads me to believe that it was just as much of a surprise to the Chrysler team as there was no official statement made following Nissan’s announcement that they had poached Diaz. However, with the business week beginning this morning, Chrysler announced a handful of changes to both fill the roles created by Diaz’s departure while also filling other positions that opened up due to the shuffling of the management team. As the company has done in the past (since being purchased by Fiat SpA), they moved around a variety of current department heads while also promoting a new name to the list of brand CEOs here in the US. All of these changes are effective immediately. First of all, to fill Fred Diaz’s position as the CEO and President of the Ram Truck brand, Chrysler Canada CEO and President Reid Bigland has been brought over from the Dodge division where he served as the CEO and President there. 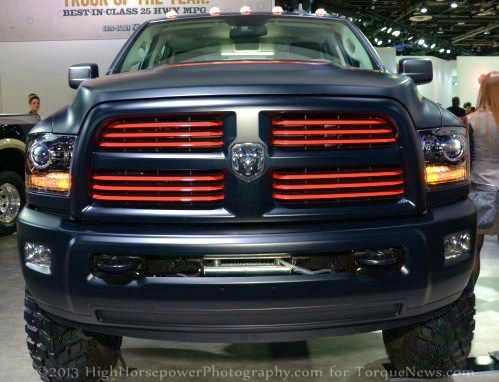 Bigland will continue his role as the head of Chrysler Canada while also leading the Ram Truck brand. Bigland knows a thing or two about trucks, having previously worked with South Carolina based Freightliner Custom Chassis Corporation before joining the Chrysler team in 2006. Diaz’s other role was the CEO and President of Chrysler de Mexico and that position has been filled by Bruno Cattori. Cattori had previously served as the head of retail and fleet sales for all Chrysler Group brands in Mexico and even though he is the head of Mexican operations – he will continue his previous role overseeing sales in Mexico. Cattori joined Chrysler in 1988 but he left for Mercedes Benz in 2002, becoming the head of their Mexican operations in 2008. He rejoined Chrysler early in 2012. Next, to fill the vacancy at the head of the Dodge brand, Tim Kuniskis has been transferred from being the CEO and President of the Fiat North America to the same role with Dodge. Kuniskis has been with Chrysler since 1992, working a variety of positions in both sales and marketing over the past 21 years. With Tim Kuniskis leaving the Fiat division, that created an opening for the revitalized Italian brand and California Business Center boss Jason Stoicevich has been appointed to be the new CEO and President of Fiat North America. Stoicevich, who joined the company back in 2003, will continue his position with the Business Center in addition to his new management role with Fiat. As for former Ram boss Fred Diaz, he has been appointed to the position of Vice President of Sales and Marketing for Nissan’s United States division. Diaz will be responsible for overseeing all operations here in the US. Diaz was named the head of the Ram brand when it was created back in 2009 while his position atop Chrysler de Mexico was assumed in 2011. For the Chrysler Group, losing a successful member of the management team comes as a shot in the arm but with so much management experience at the top of the Chrysler Group brands, the company shouldn’t deal with much of an impact from Diaz’s departure. However, this comes as a much bigger deal for Nissan as they now have a guy at the top of their US operations who knows trucks and anyone who has driven a Nissan Titan knows that the company could stand to learn a thing or two about how to engineer, build and market pickups here in the US. Who knows – maybe Diaz’s role with Nissan will help the Japanese automaker’s dream of having a Chrysler-built full sized pickup in their lineup. Nissan reportedly had been working on a deal for the Chrysler Group to build the next Nissan Titan but that deal fell through when Fiat took over. Since then, the Nissan Titan has become more of a niche vehicle than a real competitor in the US truck market and while Nissan has no problem competing in the different car segments – full sized pickups account for the 3 of the top 5 bestselling vehicles in the US so figuring out a way to compete with the Ram pickup, the Ford F Series and the Chevy Silverado could mean a great deal to Nissan. Nissan was very smart to pick up Diaz and with their plans to launch a new full-sized truck alongside the Titan, we can expect to see interesting things soon. The Titan sells best in its No Fear package, which is probably why Ford started building the Raptor series as that's a small, but lucrative market niche.